WARNING: The cigar boxes inside the humidor of your local tobacconist are going to look a lot different in about two years. That's the period when cigar manufacturers and distributors, as mandated by the U.S. Food and Drug Administration in its recently published Final Rule, must begin adhering to a new set of strict packaging laws. The requirements include larger health warning labels on boxes (and even cellophane wrappers), more stringent placement of said warnings, plus the submission of a "warning plan" by manufacturers to the FDA to ensure random distribution of the new warnings. Many cigar producers foresee that the requirements will significantly raise costs, hinder creativity and effectively cause, as one cigarmaker put it, "a logistical nightmare." • WARNING: This product contains nicotine derived from tobacco. Nicotine is an addictive chemical. These new health warning requirements will go into effect on May 10, 2018, with an additional 30-day grace period to allow manufacturers and distributors to exhaust inventory that contains the old warning labels. After that, retailers may only sell cigars without the new warnings if they are able to demonstrate that the cigars were purchased prior to the warning label effect date. For cigars that come in cellophane, which is a majority of premium cigars, the same packaging requirements apply. Likewise to cigars packed in tubes. In both cases, the warning labels affixed to the box that holds the cellophaned cigars or tubes is not sufficient—warning labels must be affixed directly to each individual tube or the cellophaned cigar. Interestingly, cigars sold naked (without cellophane or a tube) will be covered by a sign displaying all six warning statements that retailers must place next to their cash registers. "For cigars that are sold in cellophane wrappers, these wrappers are considered packaging and, under this final rule, must include the required cigar warnings," said Michael Felberbaum, press officer for the FDA. "We encourage any newly regulated manufacturer or retailer to contact the FDA's Center for Tobacco Products with any specific questions regarding their responsibilities in complying with the rule." The new warning requirements definitely concern cigarmakers, since many view cigar packaging not just as a box that holds sticks, but a work of art that can entice potential customers. "The size of the warning labels are a concern. Thirty percent is a lot of real estate," Andre Farkas, owner of Viaje Cigar Co. "We treat our packaging like art. So much time goes into the look and feel of our products. Take our jars for instance. Those took months to plan out and perfect. In most cases, retailers and consumers put them on display in their shops or homes. It's a shame to think that packaging will now be tainted by these massive labels. All is not lost, however. Creative packaging will continue. We just need to find a tasteful way to satisfy the new requirements." "[The FDA warning requirements] do make it very difficult. I believe consumers don't buy more or less cigars because of warning stickers. Cigar consumers are too sophisticated," said Rocky Patel of Rocky Patel Premium Cigars. "And people collect the boxes to re-use them for various things—storage, a canvas for painting, and so on. All this does is take away something that's beautifully crafted. Take the Decade box for instance. It has a beautiful drawing in the center that shows the cigarmaking process. Moving it from the center to a corner to accommodate a warning label would ruin the look." In addition to adjusting the actual warning labels, the FDA will require cigar manufacturers, distributors, importers and retailers to submit a "warning plan," similar to what cigarette and smokeless tobacco manufacturers must do. A warning plan, according to the FDA's Final Rule, ensures that each of the required cigar warning labels will be randomly displayed in each 12-month period, "in as equal a number of times as is possible on each brand of cigar sold in product packaging and randomly distributed in all areas of the United States." The Final Rule states that warning plans must be submitted for FDA review and approval by May 10, 2017, one year after the Final Rule was officially published in the Federal Register. The warning label plan is going to be "a logistical nightmare for us," said Patel. "There's a significant cost to manufacturers to change these things. The FDA took data that included machine-made cigars and applied it to premium cigars." 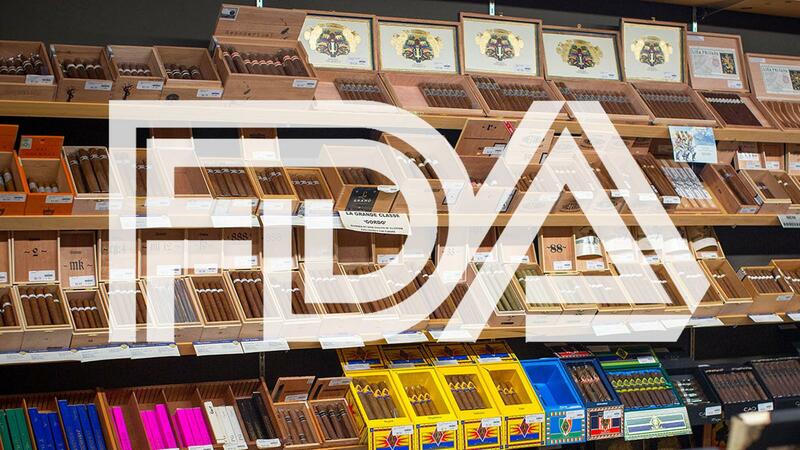 While details on the warning plans remain scarce, Felberbaum did say that, "The FDA intends to provide further information on submitting cigar warning plans prior to the required compliance date. The agency also intends to host a Webinar with information regarding cigar warning plans in the near future." This article first appeared in the July 5, 2016 issue of Cigar Insider.